For the unaware, Sith Lords brandish the Dark Side of the Force. Contrasting Jedi, who wield the Light Side for peace and calm, Sith seek power and passion. Some Sith are despicable tyrants who are easily classified as villains; others believe their brutal efforts are ultimately good for the galaxy. The ends justify the means, as they say. Today, we'll rank eight mighty Sith, judging them not only on power, but on motivation and accomplishments, too. 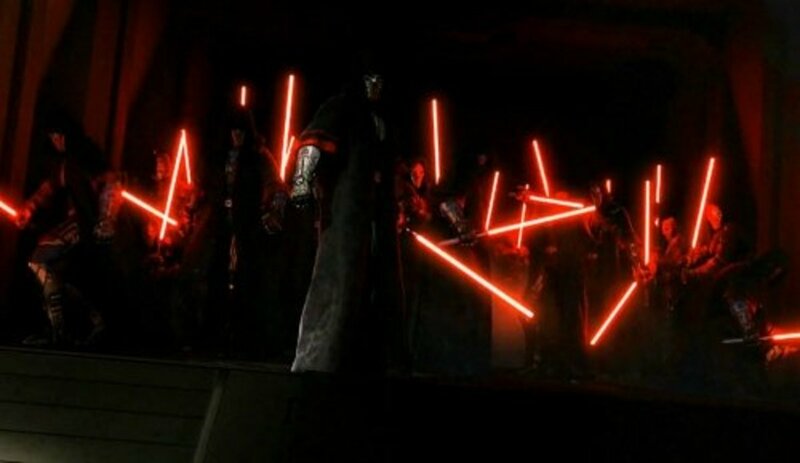 So don your dark cloaks and ignite your crimson blades - we're about to explore the ranks of the Sith! The first of today's Sith was trained as a Jedi, and believed to be a promising student. Young Dooku was driven, idealistic, and powerful. Over time, things changed. Exposed to the corruption of the galaxy, Dooku began to hate many species, and felt his life as a Jedi was lacking. Eventually, Dooku left the Jedi Order and was recruited by the Sith Lord, Darth Sidious. Now called Darth Tyranus, Dooku began to act out his master's orders, believing that a new world must be created. 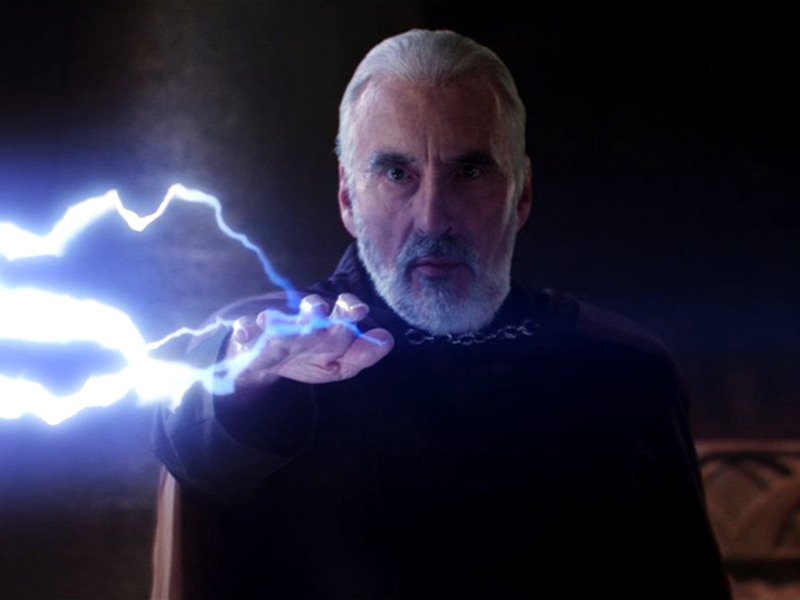 Dooku is skilled with a blade (he wields a unique curved lightsaber), and strong with the Force - but his age and narrow-mindedness hamper his overall potential. Quotable: "A dark Jedi is nothing compared to the power of the Sith." The alien Darth Plagueis was the teacher of the man who would later become The Emperor. Plagueis isn't seen in the Star Wars movies, but he played an important role in mentoring his malicious apprentice. You see, years ago, the Sith Order instituted the "Rule of Two"; there shall always be a Sith master, and a Sith apprentice. Plagueis decided to devote his life to both the Dark Side and science, in an attempt to discover a way to preserve his life, and that of his apprentice, ending the Rule of Two cycle. Plagueis succeeded, becoming able to ignite life in cells, but his own apprentice killed him in his sleep. Unlike the average Sith, Plagueis studied science as well as the arcane, and was capable of developing a genuine bond with his student. Unfortunately, Palpatine wasn't so sentimental, and ended the life of this unorthodox Dark-Sider. Quotable: "Tell me what you cherish most, so I will know what to take from you; and tell me what you crave, so that I might deny you." The ultimate villain from the movies earns today's sixth spot. Darth Sidious was clever, charismatic, and powerful. 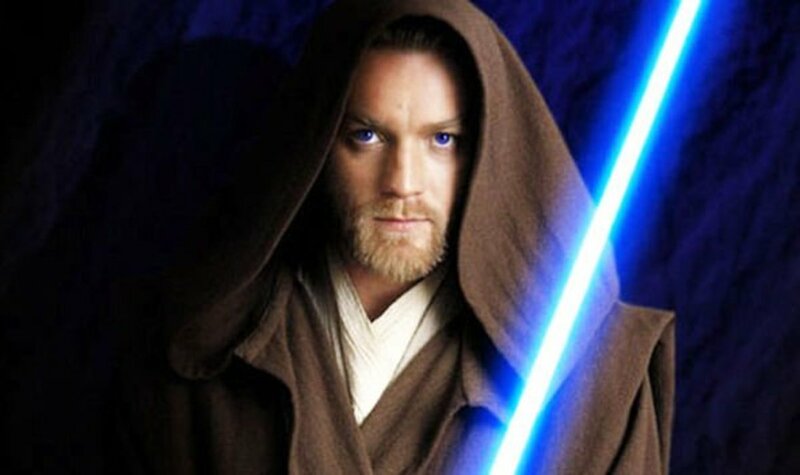 He successfully killed his master, almost completely annihilated the Jedi Order, and became the leader of the galaxy for many years. Unlike many Sith, Sidious has no redeeming traits. He's a villain to the bitter end. Sidious definitely demonstrated the skills of a master manipulator, but let hubris envelop him, exposing many weaknesses that the Rebel Alliance ultimately exploited, leading to his downfall. Still, none can deny that this wretched being was an amazing swordsman and incredibly adept with the Force. Quotable: "There is only one plan—one great design which shall govern the universe—mine." As a tattooed Zabrak, Darth Maul has an intimidating appearance that's further reinforced by incredible athletic abilities. 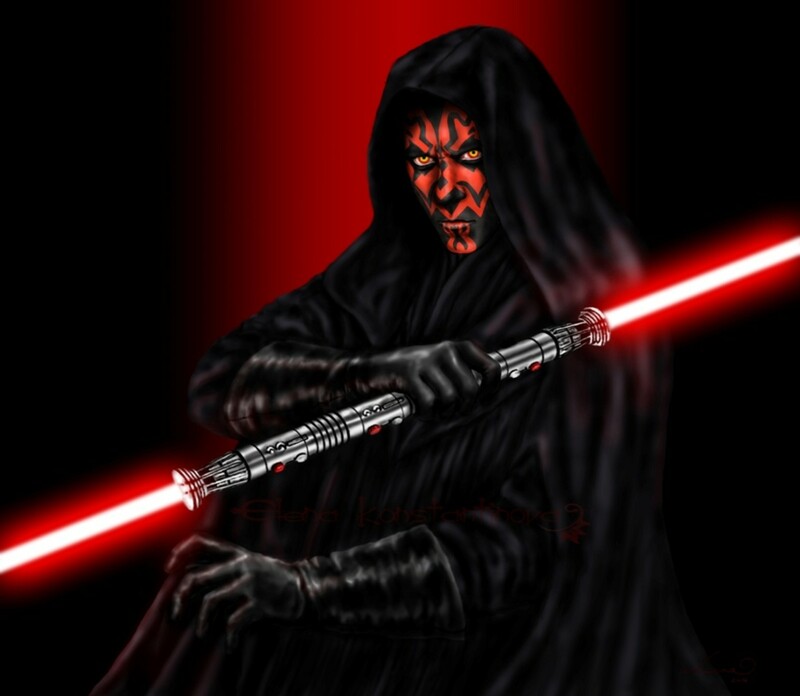 Maul was taken from his family by Darth Sidious, and raised to become the ultimate warrior. Brutal training sculpted Maul into a mighty (and surprisingly loyal) tool for Sidious's designs. Some consider Maul to be the epitome of Sith. He's ruthless, agile, passionate, and intimidating - traits quite becoming of Sith. Maul's incredible fighting style blends lightsaber techniques with martial arts, and he skillfully dueled against two talented Jedi in Episode 1. Maul's only weakness, like many Sith, is his pride; once he believes he's finished an opponent, he'll drop his guard while taunting the battered enemy. Even so, I wouldn't want to get on this merciless warrior's bad side. Quotable: "You cannot imagine the depths I would go to to stay alive, fueled by my singular hatred, for you." You knew he was coming. 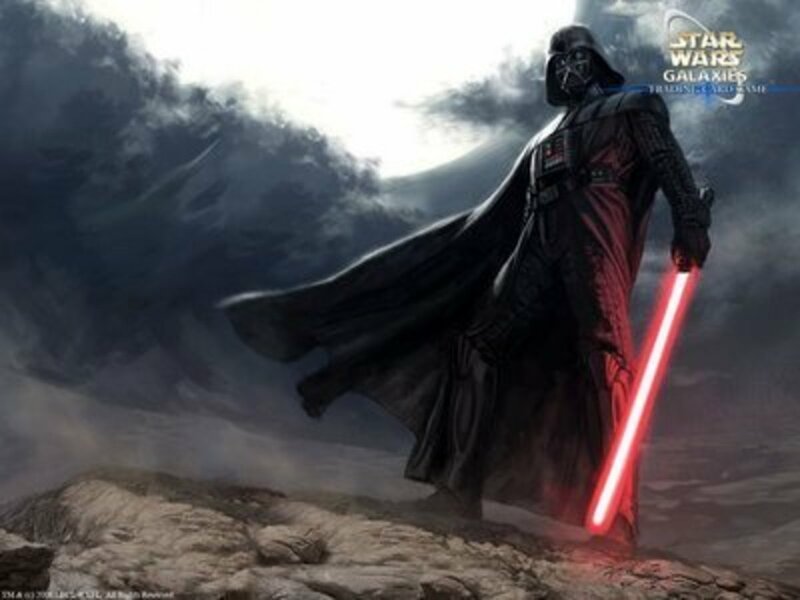 The classic antagonist, Darth Vader, takes our next spot. 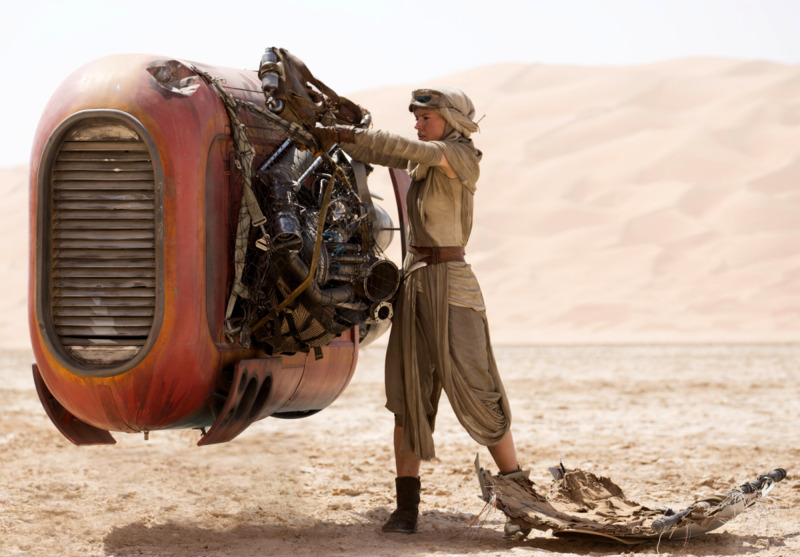 We see him, as the young Anakin Skywalker, grow into an idealistic and dedicated Jedi, prophesied as the Chosen One. However, his life is tragically manipulated by Darth Sidious, and Anakin falls to the dark side in an attempt to save his wife. His efforts fail, his wife dies, and his body is badly mutilated; thus, Anakin fully embraces the dark and morphs into the ruthless Darth Vader. Vader was said to have the potential to become twice as strong as Sidious, but the loss of his limbs reduced his ability to access the Force. Nevertheless,he's strong, intelligent, and an excellent pilot. 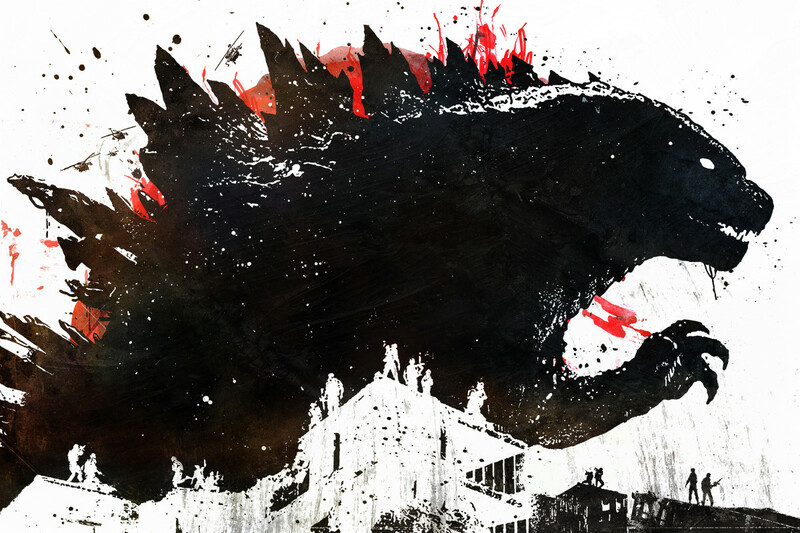 He may be a cruel murderer, but perhaps good yet remains within this broken shadow of a man. Quotable: "Yes. I killed you. I killed you. I killed the child you carried. And I hate myself for all that I have done." 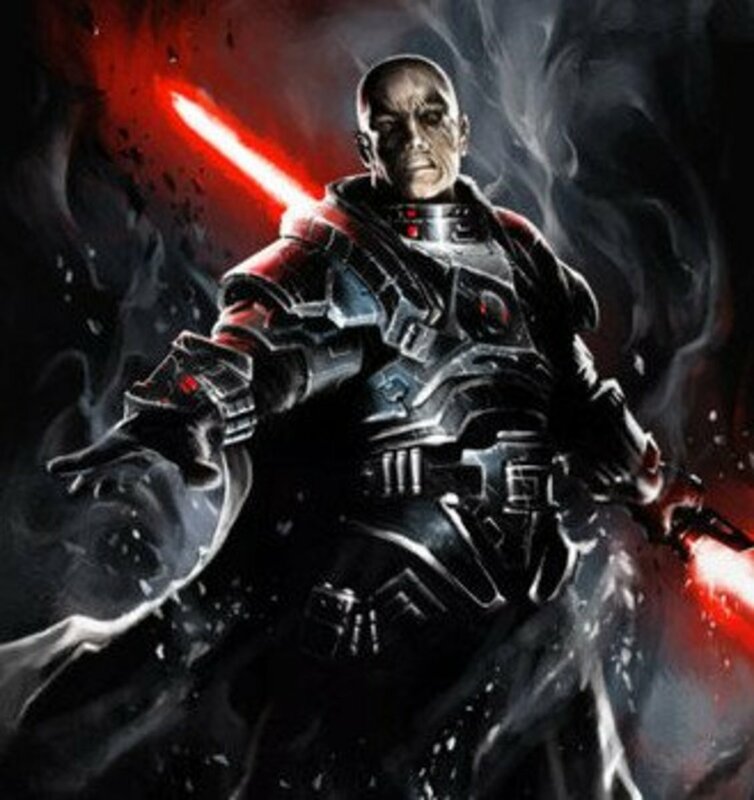 Third place goes to the revolutionary Darth Bane, who lived a great many years before the Star Wars films. Bane was trained by a dark brotherhood, but recognized the flaws of the organization. In-fighting ran rampant; the group functioned poorly as a whole. Thus, Bane wiped the brotherhood out, and instituted the famous Rule of Two. He developed into powerful warrior with a fierce combat style, and further increased his deadliness by wearing lightsaber-impervious armor. Bane did not live to see the fall of the Jedi Order, but eventually, under the Rule of Two, his Sith legacy overcame the Jedi (Episode 3). Quotable: "Equality is a perversion of the natural order. It binds the strong to the weak. They become anchors that drag the exceptional down to mediocrity. Individuals destined and deserving of greatness have it denied them. They suffer for the sake of keeping them even with their inferiors." The mysterious Darth Revan lived thousands of years ago, even before Darth Bane. Revan was trained as a promising Jedi, but was captured by a powerful Sith. He eventually escaped, becoming a Sith himself in the process, and decided to fight evil by becoming evil. 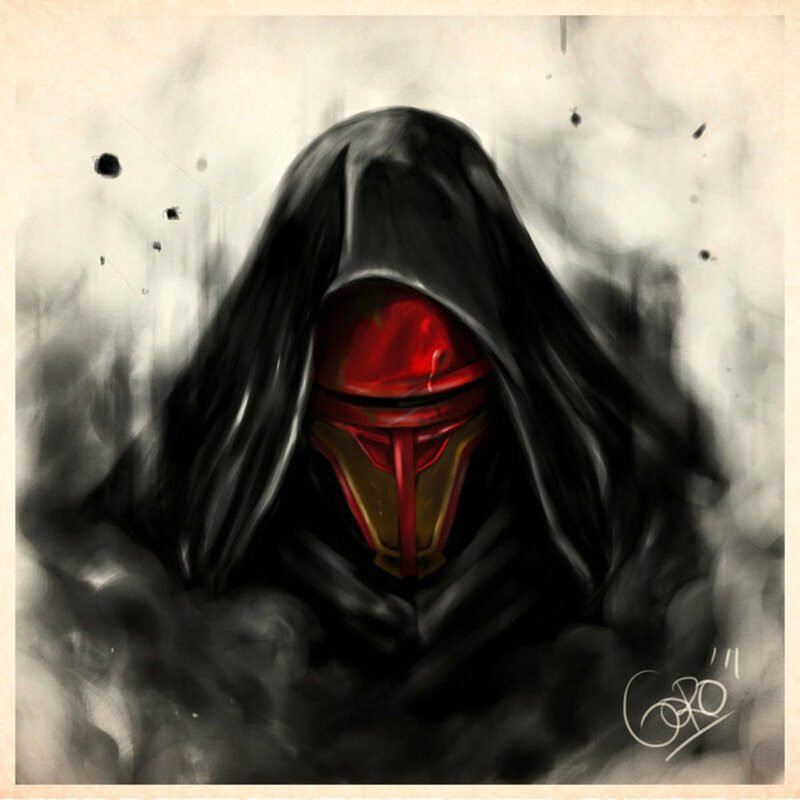 Revan fell to the dark.. but seemed to retain a degree of humanity and compassion, and ultimately rejoined the light side. Unlike many Force users, Revan held a sense of humor, didn't oppose marriage, and fought against corruption, valuing results over means. Revan frequently switched sides, but was admired by both Jedi and Sith for his power and dedication. In fact, Darth Bane crafted his Rule of Two based on wisdom Revan left behind in a holocron, a compact device that forever preserved his unorthodox teachings. Quotable: "I can help you achieve your destiny. Listen to me, and I will help you find it." Training both Darth Revan and the Jedi Exile. Being one of the first rulers of the Sith Empire. Being so powerful in ancient times that it took thousands of Jedi to confine his spirit to a temple. Massive spoilers for the Legacy of the Force novels ahead. Our number-one Sith is none other than the oldest son of Han and Leia Solo. Jacen Solo was trained as Jedi by Luke Skywalker, and developed into a powerful Jedi Knight. Eventually, Jacen traveled throughout the galaxy, developing several Force techniques that even Luke wasn't aware of. However, an old enemy of Luke's - Lumiya - took an interest in the promising and open-minded man, and taught Jacen the path of the dark side; he transformed into Darth Caedus. Caedus is interesting in that he's both good and bad - at the same time. He's manipulative, brutal, cold, and possibly the most powerful Sith of all time. 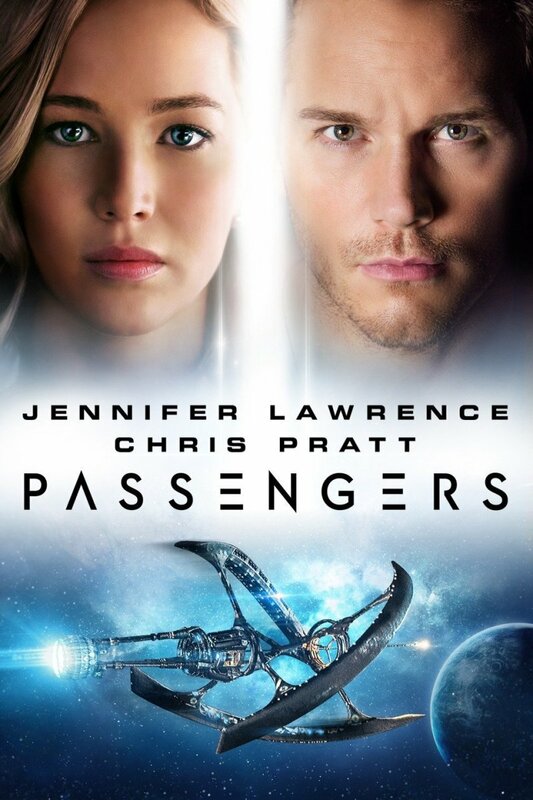 However, he also remains caring, loving, and self-sacrificing, believing his actions with save the galaxy. Caedus became my favorite Sith because he overcomes the traditional "all Sith are evil" stereotype. Like the Sith Code, Caedus isn't inherently evil - he's just willing to perform any action to accomplish his goals. 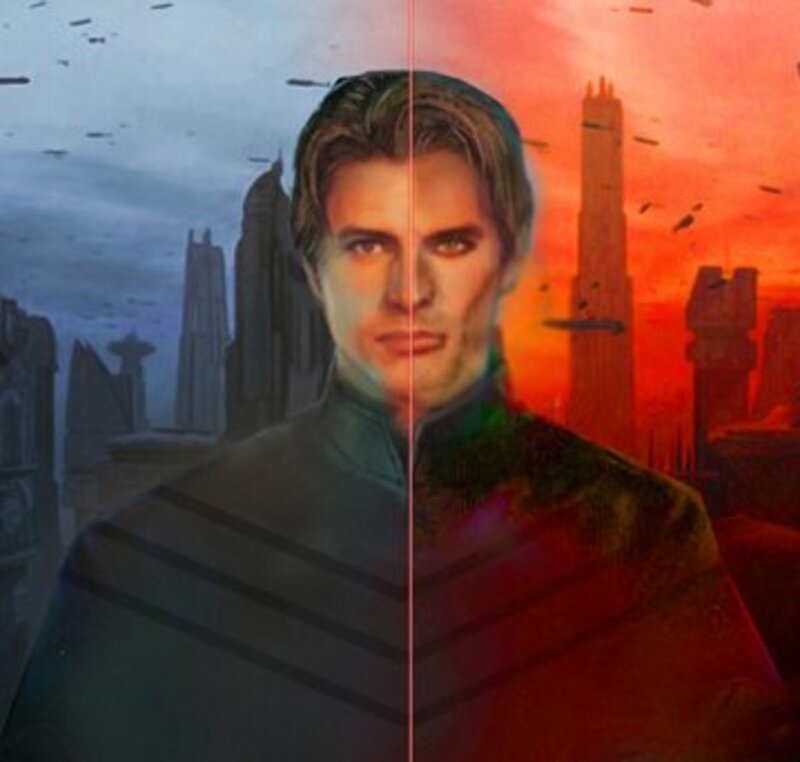 Check out the Legacy of the Force novels and see for yourself the fascinating character that is Jacen Solo. Quotable: “It all depends on your definition of good, doesn't it?" Which Sith do you favor? Hopefully you've enjoyed reading about some pivotal Sith! 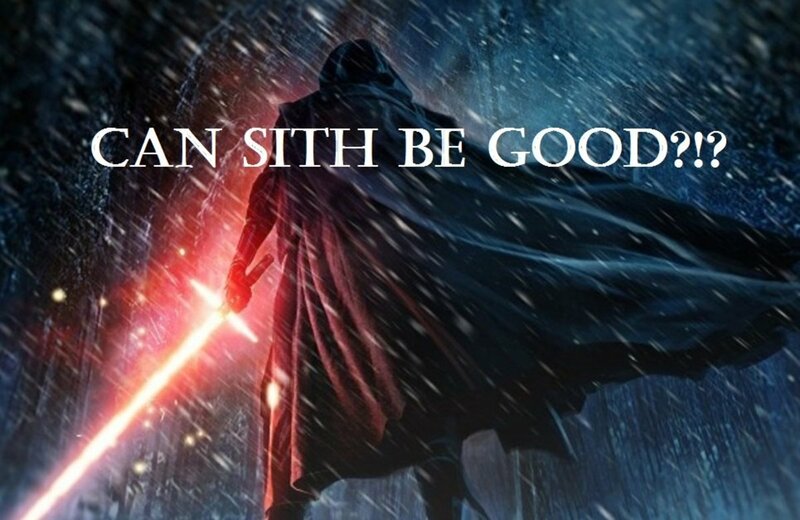 I look forward to seeing the future of the Dark Side in upcoming films.. But for now, feel free to vote for your favorite Sith and I'll see you at our next Star Wars countdown! You're trying to ding me on a technicality, and I respect your knowledge of the series because (as Obi-Wan might say) from a certain point of view, you're right. But a closer inspection reveals the numerous faults in your argument. The Sith hierarchy works differently than the Jedi. 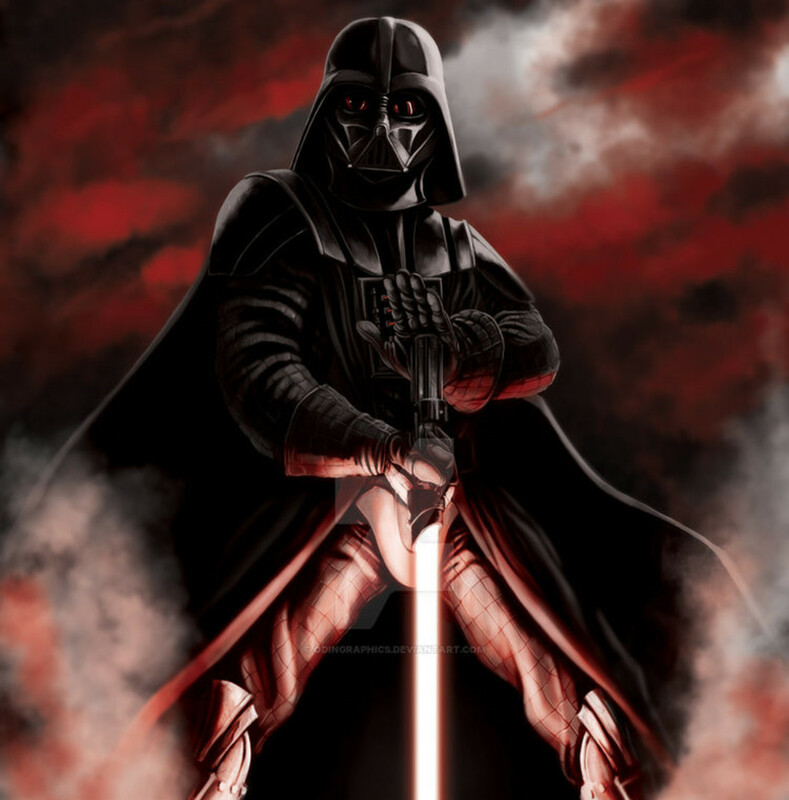 Even the Sith apprentice is often referred to as a lord (think of all the subordinates calling Vader "Lord Vader"). Heck, Darth Sidious himself refers to Vader as Lord Vader! Additionally, Maul, Dooku, and Vader's skills certainly match the title of lord, as all three were much stronger than the average Jedi Master. Finally, there was a short period where Vader was the only Sith alive (and he did indeed kill his Sith master as per tradition), so even by your definition, he was very briefly a Sith Lord. 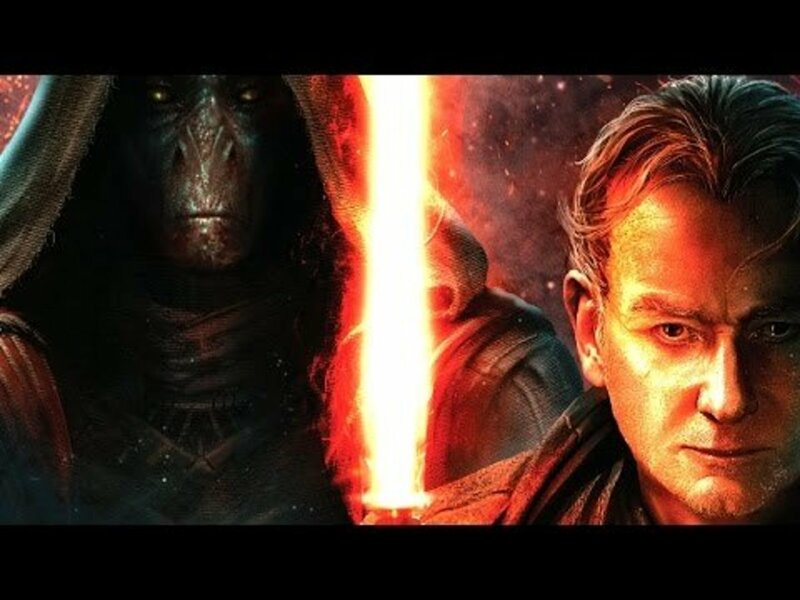 The way I view it, at any given time both dark-siders are Sith Lords, but only one is the master. Neither Darth Maul, or Darth Vader, or even Count Dooku was actually a Sith Lord. Soooooooooooooo many people do not understand this. They were apprentices. According to the rule of 2, there can only be one Sith Lord at a time. An apprentice can only become a Lord if he or she kills their master. None of the above did this, therefore, they are still apprentices. Darth hilius? He was a boss. also about darth vader, you have to realize that he was darth vader before obiwan turned him into sushi. and also an expert amazing pilot, better even than plo koon. before we mention kylo sad, let us consider "daddy, daddy!!!! i want to be darth vader". the only and i do mean only thing he had going for him was the one time he used an ancient force technique where he holds a blaster bolt steady. it has already been confirmed that in canon lore sidious is top dog and in expanded it would be near impossible to determine but the like top 10 are all relative to what one considers significant such as skills with a lightsaber, force sensitivity, and strategy and war tactics. sion stayed alive using nothing but hate, exar kun reanimated and defeated scores of jedi before blowing up the planet and had to have his soul trapped. he was also responsible for the creation of many sith beasts and was one of the most force sensitive sith. 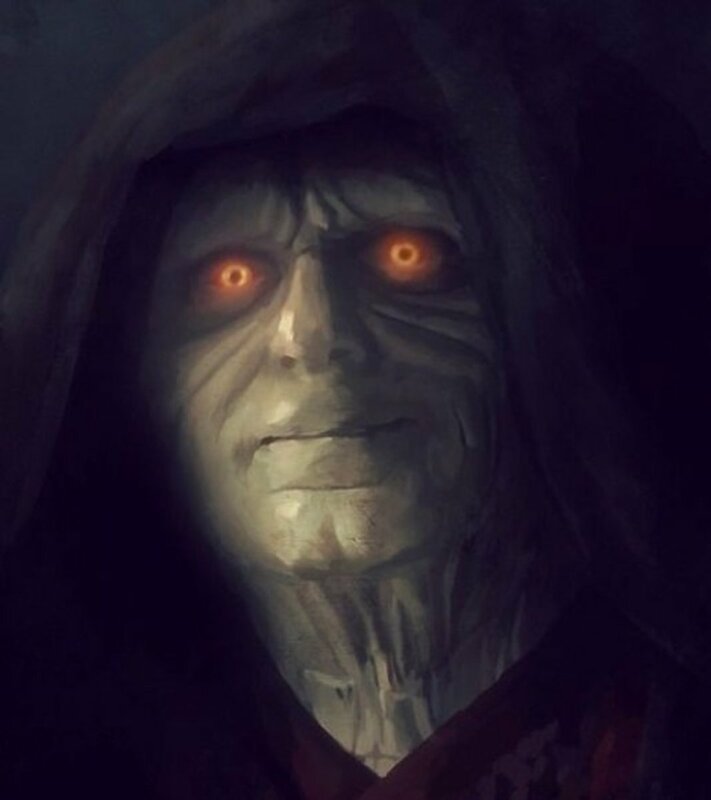 sidious was a genius, seduced the one who brought balance to the force to the dark side and beat yoda(master of all 7 forms of combat) in a lightsaber duel fairly and forced him into exile. nihilus stepped on a planet and killed a species save one (visas). vitiate ruled for a longer span of time than any other sith. darth maul mastered a double bladed lightsaber and came back as a spider surviving being cut in half and was one of the most well versed combatant in that lightsaber form. and bane made everything hard with the rule of 2 "one to embody the power and the other to crave it" making it quite difficult to tell what sith really rules them all. oh and fredon nadd sustaining himself similarly to sion except in ghost form. Jalen, we may have to agree to disagree here, but I find Vitiate somewhat generic. Plagueis had similar goals to him (eternal life) but I tend to favor Plagueis's character as more interesting, as (unlike most Jedi and Sith) he focuses on the scientific rather than mystical aspects of the Force. Darth Vitiate wasn't on this list. Why? Interesting list, not too far off from my own. The dark side has produced many interesting characters.